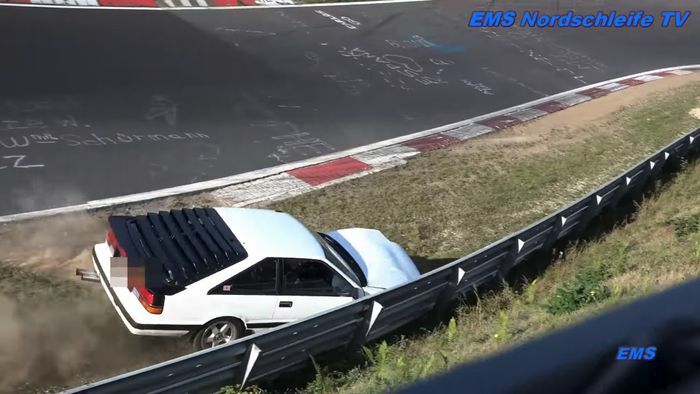 It’s always sad to see a lovely old car meet a sticky end, and many of those have come at the often tricky Nurburgring. Its frequently changeable microclimates can see random patches of fog, rain, hail or even snow at one corner while everywhere else is sunny. That’s not what happened here, though. As our hapless helmsmith in the Nissan Silvia S12 approaches a left-hand bend slightly too quickly he is too close to the inside, turns too little, too late, understeers, hits the brake and seals his own fate for a shameful tryst with the outside barrier. We had to watch this several times to grasp the scale of the driver’s failure. Everything that could be wrong about the attempted turn was wrong. We genuinely feel terrible for the owner of the car, and terrible for the damage to the car itself, but this is a neatly-packaged masterclass in how not to take any corner, anywhere, ever. We hope that the car is repairable, for one thing. 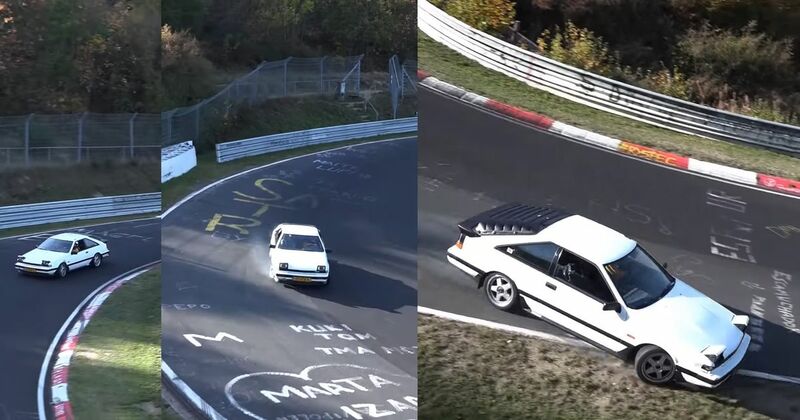 We also hope the driver was unharmed and properly insured for Nurburgring laps. After the paperwork is completed, a little driver training wouldn’t go amiss.